The Starliner, the newest bar located off Myrtle-Wyckoff is about to be your new favorite local bar. 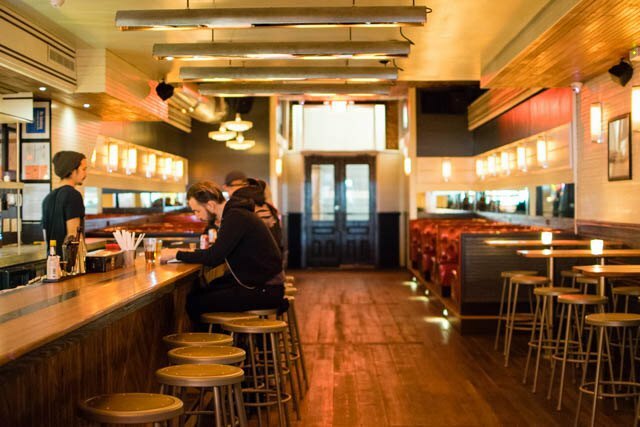 Opened January 21st by owner Seth Piracci, this gigantic bar has a very laid-back vibe. It's huge yet still feels cozy. It's dimly lit in a way that accentuates its beautiful design. It's non-pretentious without being too dive-y. 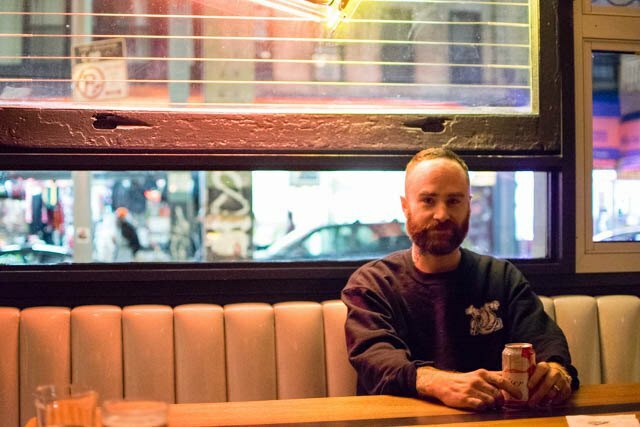 Piracci, a Colorado native, moved to NYC 15 years ago and has been working in every kind of bar imaginable for the last 11 years, so he has a pretty good idea of what works and what doesn't. He used that bank of knowledge to build his dream bar. The location, 1446 Myrtle Ave, used to be a karate school before Piracci bought it a year ago and began full-scale renovations. His vision was clear and specific: "If Lando Calrissian owned a bar on Fhloston Paradise,” but it can also be described as having a very 1950s look with cruise liner elements. Seth used to spend time salmon fishing in Alaska and drew a lot of inspiration from those experiences. The vastness of the space is striking upon entrance. The light fixtures have an art deco feel, and the walls are decorated exclusively with prints by California-based artist Martin Machado, with more soon to come. The space is equipped with three tables and six huge booths, including one elevated "birthday booth" which wraps around the side of the bar closest to the door and sits about 10 people (and can be rented out ahead of time and personally catered to with bespoke cocktails and snacks). Seth wanted to create a space in which large groups or a lone patron would be equally comfortable. He certainly achieves this, as the booths could fit numbers in the double digits if necessary, while the whopping 56ft bar is spacious enough to unwind with a solo drink without feeling cramped by the more rowdy customers. There is even an outdoor area, which leads to a garage space that will open in the next few weeks. And yes, the outdoor area will even be heated to accommodate us until the temperatures rise again. This space will be used for all kinds of bar-hosted events and can also be rented out for private parties. The beers range from $4-$7, with a pretty standard $6 beer/shot combo. The cocktails range from $10-$12. There will be two house cocktail specials and a seasonally rotating punch on draft. Seth wanted an "approachable cocktail list" that could still be appreciated by those very much into mixology and fine cocktails. Happy hour features very reasonable $3 well drinks, a $4 Coors and shot combo, and $4 wines. Starting this Thursday, February 4th, they will be serving food from Twin Suns Deli. You order goes directly to the location four blocks away and gets delivered right to your table (or booth, or barstool). Seth's outlook is "PMA": Positive Mental Attitude. He strives for everything to feel easy and everyone to feel comfortable. He wants to cultivate an environment in which all can enjoy themselves. He ensures this goal is met through his moderate prices, friendly staff, and gorgeous decor. His motto for the bar: "If you're lucky enough to be here, you're lucky enough." And Bushwick is definitely lucky to have added this awesome bar to its ever-growing list of great bars. Go check it out. 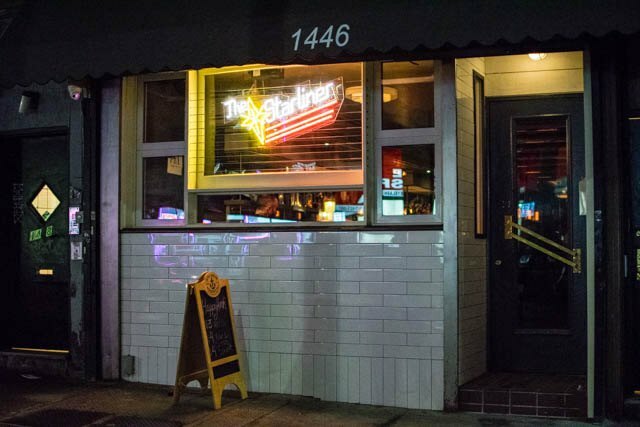 The Starliner is located at 1446 Myrtle Avenue, open Monday through Friday from 3pm to 4am and Saturday and Sunday from 12pm to 4am.